Because, oddly, I had never been to London, Andy Budd of Clearleft took pity on me and invited me to host a workshop at UX London 2011. (He swears it’s due to my content but I think he thought I needed a spot of tea.) 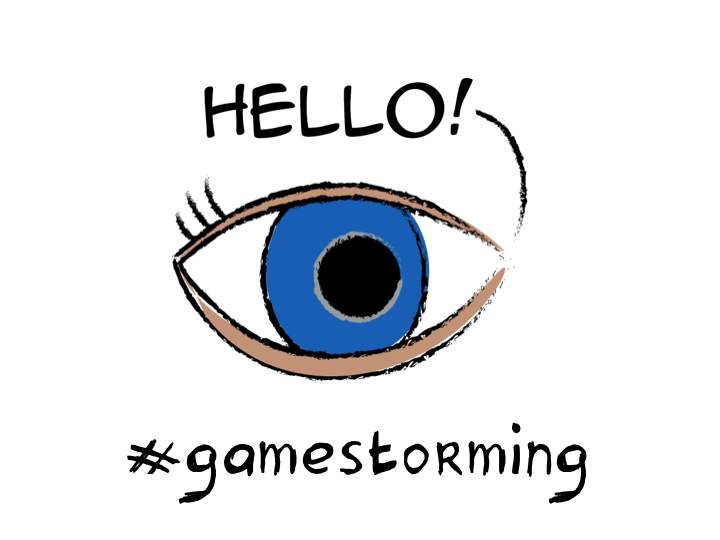 So I must applaud his prescience – the Gamestorming workshop turned out to be so popular in the pre-conference participant poll that I ended up offering two of them. The global UX community, since they’re operating in such a new, complex and often misunderstood space, has an intense interest in designing and leading effective client meetings. And as many of you know, this is the DNA of graphic facilitation and Gamestorming. So, for those of you who share that interest but missed the workshop, the slides are available in this link on Flickr and in this link on Slideshare. (FYI, I don’t love it when people view my slides on SlideShare since the handwritten fonts are converted to something dreadful. But do as you must.) And if you’re looking to attend a workshop yourself, well, you’re in luck! Dave Gray and I are hosting a public Gamestorming workshop in Silicon Valley in July of this year thanks to the incredible generosity of our host Duarte Design. So you know I have to say it: GAME ON! Dave – please consider participating in the SDN conference in Oct! Seems like a natural fit.